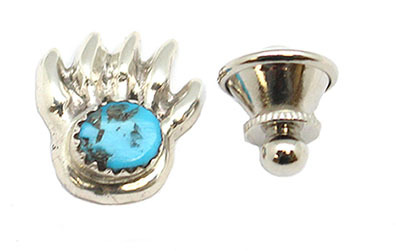 This sterling silver cast bear paw tie tac has one free form turquoise. It measures 5/8" long and a little over 1/2" wide. Native handcrafted by Navajo artist Pauline Nelson. Stone size and shape may vary.